Sorry Charlotte, His Royal Highness is busy getting ready to be the future King! There is no denying that the British Royal Family lead a very different life compared to us mere mortals. While it's not a stretch for siblings to live near or even next to each other, in the case of Prince William and Prince Harry - their place of residence happens to be Kensington Palace... Not exactly the norm. But in this new age of the modern royal - the Cambridges are doing their best to lead a "down to earth" life. But at the end of the day, they are royalty! Duchess Catherine has no qualms about doing the school pick up, Princess Eugenie AND Beatrice both have Instagram, and now it's being reported that Prince George and Princess Charlotte share a typical sibling relationship. Apparently young George, who just rocked his 5th birthday with an adorable new portrait, doesn't like hanging with his little sister. Do we have to hang out? 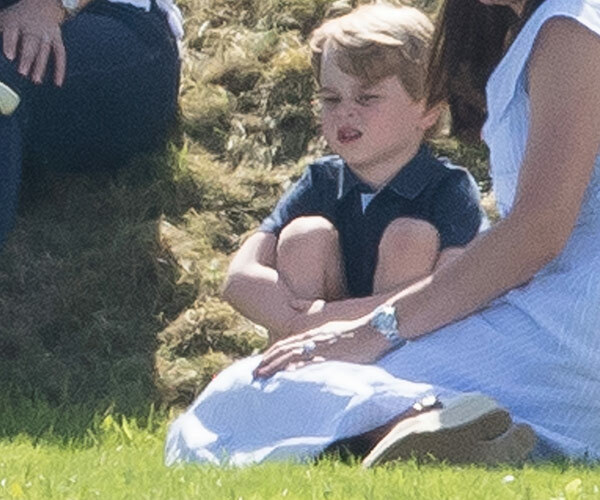 An insider close to the family tells People that George is "very independent now and not as interested in playing with Charlotte all the time." 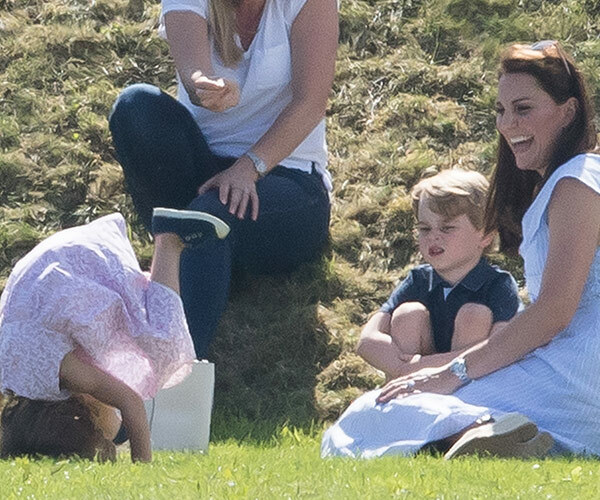 Before you all fret, Prince George still loves his sister and is simply displaying the normal behaviour of a five-year-old! "They are close, but George likes to go off and do his own thing." Charlotte and George still play but the future King of England enjoys going off to do his own thing as well. While in the public eye, Prince George appears to be shy compared to his sister, which cements Catherine's comments that her daughter loves calling the shots. "Charlotte is growing up really fast," the mum-of-three said. "She is the one in charge." But the royal insider explained to People that George simply "takes a little while to warm up, but once he's comfortable with you, he's very chatty and charming." The siblings will no doubt be thick as thieves as they're the only ones that will understand what it's like to be royal. The lovely notes about the Cambridge children certainly echo the sentiment that the Duke and Duchess are doing their very best to keep their children grounded. Catherine, who grew up out of the spotlight as Kate Middleton, is said to be "adamant" about "keeping stuffy ­royal protocol far from their apartment at Kensington Palace." A friend shared with Radar: "Kate has kept her babies out of the public eye as much as possible." "They have absolutely no idea that they're royals. They might look like perfect tots in photos, but at home they play in the mud, fall off their ponies, and have screaming tantrums!" George still adores his sister. And apparently, he's quite the talker. While Prince William had a very different upbringing, he wants his children to experience what his wife had. "There'll be a time and a place to bring George up and understand how he fits in, in the world," Prince William has shared. In fact, George and Charlotte are regularly looked after by their grandmother Carole Middleton. Granny Carole loves taking care of the little ones. One patron of the public told the Daily Mail's royal reporter Rebecca English they saw the sweet grandkids casually hanging at Carole's family business, Party Pieces. The expose also claims the kids love "being shopkeepers" and eating chips while Granny Carole works at the company, which is located near the Middleton family home in Berkshire. The visitor saw the young Prince sitting at the front, and overheard him exclaim "Oh my gosh!" when his Granny gave him some lollies. Royalty or not, all kids can delight in the simple pleasures in life like enjoying a treat. British Royal FamilyPrince Louis' christening photos: 6 things you didn't notice!